Princess Elaine has been through nine governesses. Only when she decides to study math and science at the prestigious University that she stops tormenting her elders. The problem is that the University does not welcome females. How can Elaine, who has only been schooled in basic reading and court etiquette, prove that she is capable of a higher education? 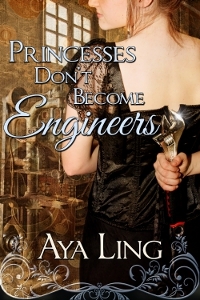 And how will everyone accept an anti-social princess who just wants to invent gadgets and fix machines?